This book contains the proceedings of a symposium held at the College of Charleston. Charleston. South Carolina. USA. 16-20 June. 1986. The seed for this symposium arose from a group of physiologists. soil scientists and biochemists that met in Leningrad USSR in July 1975 at the 12th Botanical Conference in a Session organized by Professor B.B. Vartepetian. This group and others later conspired to contribute to a book entitled Plant Life in Anaerobic Environments (eds. D.D. Hook and R.M.M. Crawford. Ann Arbor Science. 1978). 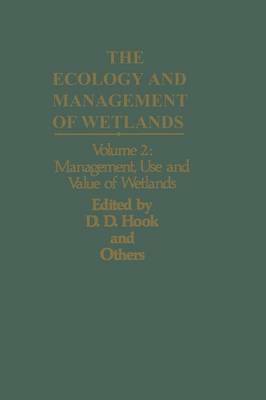 Several contributors to the book suggested in 1983 that a broad-scoped symposium on wetlands would be useful (a) in facilitating communication among the diverse research groups involved in wetlands research (b) in bringing researchers and managers together © and in presenting a comprehensive and balanced coverage on the status of ecology and management of wetlands from a global perspective. With this encouragement. the senior editor organized a planning committee that encompassed expertise from many disciplines of wetland scientists and managers. This committee, with input from their colleagues around the world, organized a symposium that addressed almost every aspect of wetland ecology and management.